Pour the water and vinegar into a pan along with all the other ingredients up to and including the mustard seeds, bring to the boil, add the asparagus, simmer for approx. 5 mins. Transfer the hot asparagus to a clean, airtight jar. Bring the liquid back to the boil, pour the boiling hot liquid into the jar, seal immediately. Combine the cream cheese and chervil, season with salt. Blanch the baby asparagus in boiling water for approx. 30 secs., dip briefly in ice-cold water, drain. 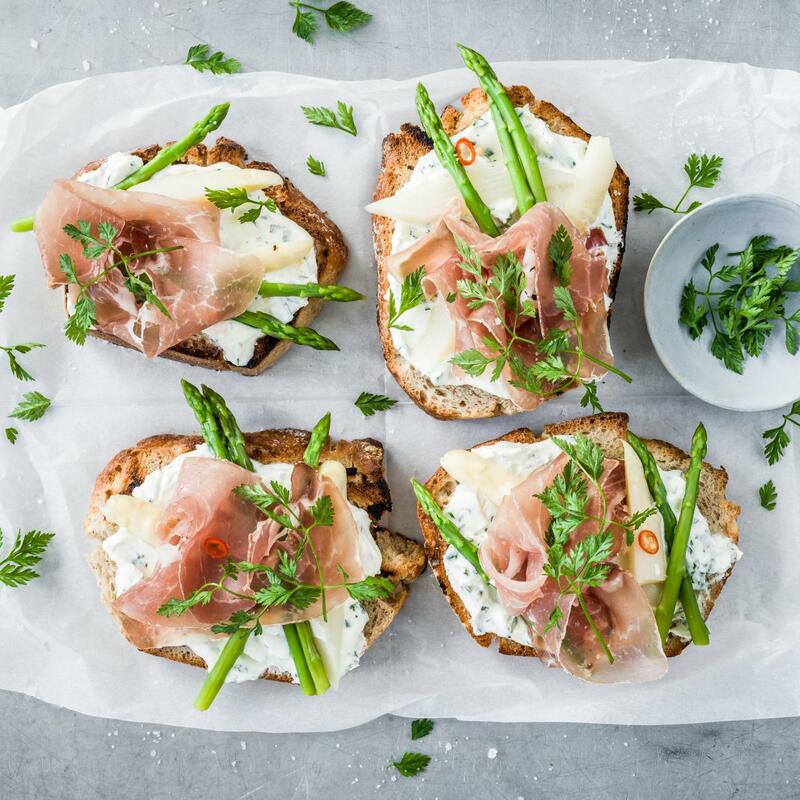 Cover the bread with the cream cheese spread, top with the pickled asparagus, baby asparagus and cured ham, garnish with chervil, sprinkle with fleur de sel. Prepare the pickled asparagus approx. 1 week in advance. The flavour intensifies over time.